I’m just going to go ahead and say it – Levain Bakery’s chocolate chip cookies are the best I’ve had. Ever. I mean, look at the ratio of gooey chocolate to dough in that picture. Is there really any debate? 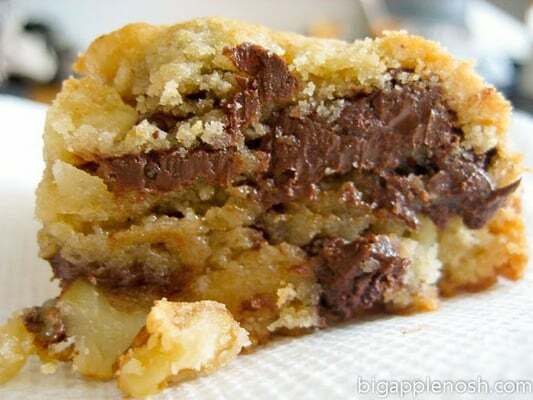 as well as the chocolate chip walnut, which I lovingly cross-sectioned in the first picture. These cookies are not to be taken lightly. They are heavy and rich – you can almost taste the butter in each bite. I ate a whole one by myself (keep in mind, I think they must weigh about a half pound each). My stomach might have hated me, but I had no regrets. Put another Levain cookie in front of me, and I’ll devour it again in a heartbeat. 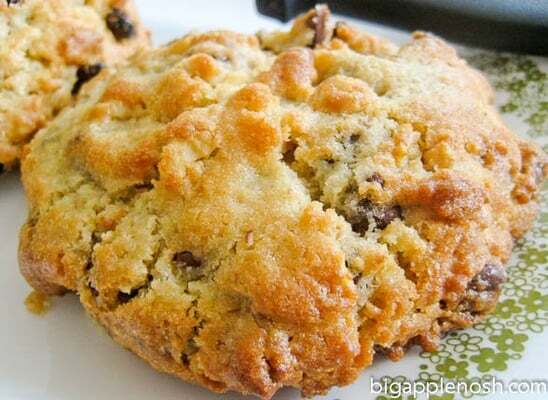 You need to try these cookies! Singaporean Chili Crab in Action! Must. Come. To. NYC. Now. YUM! The best kinds of desserts are the ones where you can taste the butter! I am right on Kate's heels I WANT these. I have been craving sweets for days now and I NEED that cookie!! Ah, really need to stop reading your posts when I'm hungry! Butter…. levain is great for the whole slightly underbaked cookie dough thing–yummm…also, have you tried the cc cookies at jacques torres? totally yummy! Well, I know which place is on my MUST list for my next NYC trip….YUM!!! Chocolate Chip cookies are my absolute favorite! Do you need my address? I'd love a cookie. 🙂 Yum. I will have a lot of food stops for my next NYC trip! i'm so mad that you posted that picture! now i'm dying to have a chocolate chip cookie. 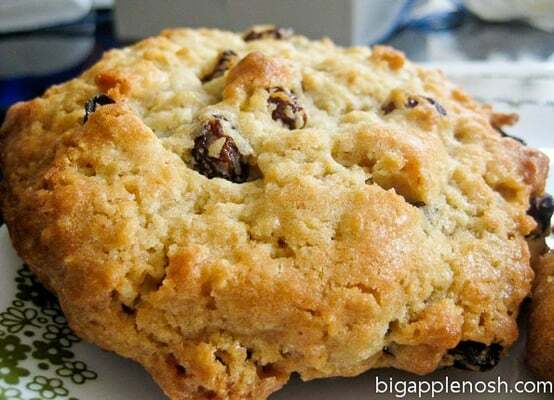 i'm not usually an oatmeal raisin fan but that looks good to me too. This is going on the list now. I don't know how I'm just finding your blog, but I'm really enjoying it. I had to comment because that is by far the most appetizing picture of a levain bakery cookie (maybe of any cookie) that I've ever seen. Home made chocolate chip cookies are yum. I will definitely try this one out.